Hello, My name is Jim. I have been a massage therapist since October of 2015, after graduating from the Cortiva Institute in Seattle ,WA. What I appreciate most about being a massage therapist, is being able to play a role in the recovery process to those who have sustained an injury, are recovering from surgery due to injury and those who live in chronic pain. To me, it is very rewarding to be a part of this process and make an improvement in an individual’s overall quality of life. I give a deep tissue massage that is focused on all areas that are the source of pain due to injury or simply the activities of daily life. 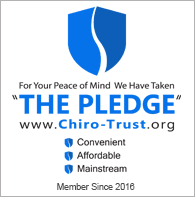 The goal of every massage I perform is to decrease pain, improve posture, increase mobility and range of motion, and to provide much-needed relaxation for patients. I look forward to working with you!